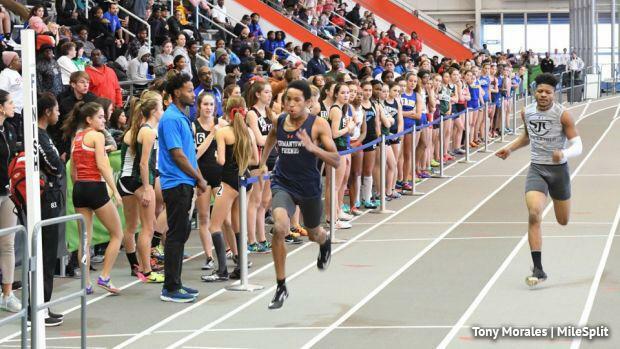 We already penned recaps of two of the biggest meets, the Hispanic Games and Kevin Dare Invitational, but there were many other big meets during the week that produced some big performances. Let's rundown some of the other big moments from the week that was. At the Briarwood Running Camp Holiday Invitational on Wednesday, 1/3, West Chester Henderson's Spencer Smucker ran a PA#5 in the mile with a time of 4:29.15. In a good battle of 400 meter standouts, Michael Welde of Council Rock North (51.11) edged out Saint Joseph Prep's Robert Dupell III (51.38). At the Warrior Classic at East Stroudsburg University, Wallenpaupack's Tyler Wirth made his indoor season debut and clocked a PA#1 of 4:29.2 in the 1,600 meters. Scranton Preparatory's Victoria Atkinson jumped 11-4 in the pole vault to take the win, a new PA#9. 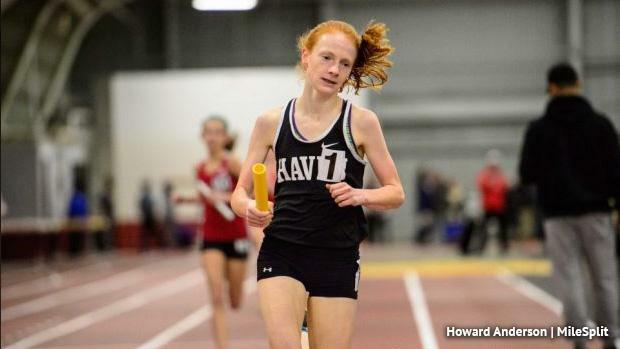 At DVGTCA Meet #3 on Friday, 1/5, the Strath Haven girls (already PA#1 in the 4x800) dropped a PA#1/US#2 in the DMR with a time of 12:20.35. Taylor Barkdoll (1,200 meter leg) split ~3:53, Olivia Malley (400 meter leg) split ~63 seconds, Maggie Forbes (800 meter leg) split ~2:24, and Grace Forbes (1,600 meters) anchored in ~4:58, according to coach Bill Coren. Also at DVGTCA Meet #3 at Haverford College, Friends' Central's Bailie Stovall ran a PA#8 26.11 in the 200 meters and Exeter's Symone Foster won yet again in the 60 meter hurdles in a time of 9.21. At the Dickinson College HS Invitational #2 in Carlisle, Chambersburg's Abby Yourkavitch (800 and 1,600 meters) and McConnellsburg's Josh Booth (55 meter hurdles and 400 meters) were both double winners on the day. Pine Grove Area's Christina DiFalco ran a strong race to win the 3,200 meters in 11:32.72 ahead of second place Anna Steich (High Point Baptist), who ran 11:44.68. At TFCAofGP Meet #4 at Haverford College, Rusty Kujdych of Neshaminy dropped a US#1 in the 3,000 meters with a time of 8:39.51. Bishop Shanahan picked up a pair of impressive wins by Rick Zink (PA#8 50.95 in the 400 meters) and Jonah Hoey (PA#7 1:58.62 in the 800 meters). At the Ocean Breeze Freedom Games in Staten Island, New York, we saw a number of strong performances. Easton Area's Kate Willshaw jumped 5-6 to match her own PA# Germantown Friends' Kai Cummings ran a great race to take the 300 meter win in a PA#3 time of 34.91 (watch the race above). West Chester Rustin's Charles Dever took home the pole vault win with a jump of 14-6. On the girls' side at YSU, Sharon freshman Gianna Labbiento made a strong indoor debut winning both the 1,600 meters (PA#1 5:06.23) and the 3,200 meters (PA#1 10:59.48). Greensburg Salem's Malia Anderson won the 800 meters in a PA#4 2:17.88. In the throws, Butler's Jena Reinheimer won the weight throw with a throw of 47-3 and Hickory's Michaela Burkhauser won the shot put with a throw of 40-9 (PA#3). The next day at the Slippery Rock All-Comers Meet, Butler's Reinheimer returned to win the shot put with a throw of 37-4, PA#8. She also won the weight throw with a PA#2 47-9. South Fayette's Mastro also returned to win both the weight throw (62-5) and the shot put (51-11).